The Trump administration's decision to sell one C-17 transport aircraft to India by the US will improve its capability to meet current and future strategic airlift requirements, the Pentagon has said. The proposed sale of C-17 transport aircraft by Boeing at an estimated cost of is USD 366.2 million includes one missile Warning System, one Countermeasures Dispensing System, one Identification Friend or Foe (IFF) Transponder and precision navigation equipment. 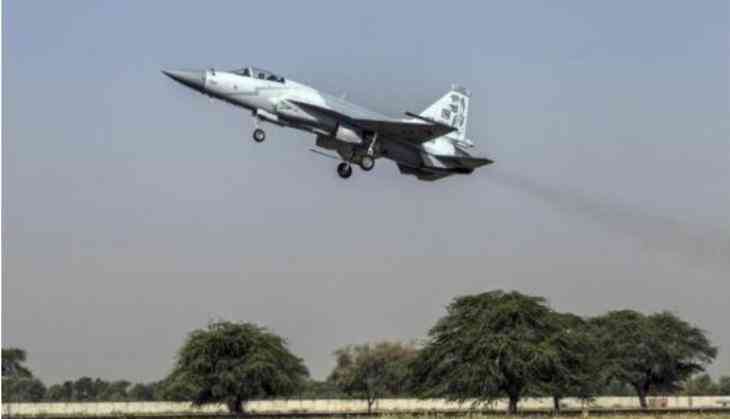 "The proposed sale will improve India's capability to meet current and future strategic airlift requirements," Defence Security Cooperation Agency said in a notification to the Congress on Monday. "India lies in a region prone to natural disasters and will use the additional capability for humanitarian assistance and disaster relief," the agency said. In addition, through this purchase India will be able to provide more rapid strategic combat airlift capabilities for its armed forces. India currently operates C-17 aircraft and will have no difficulty absorbing this aircraft into its armed forces, the agency said adding that the proposed sale will not alter the basic military balance in the region. The Congressional notification said that a determination has been made that India can provide substantially the same degree of protection for the sensitive technology being released as the US. "This proposed sale is necessary to the furtherance of the US, foreign policy and national security objectives outlined in the Policy Justification," the Pentagon said. According to the Pentagon, the Boeing C-17A Globemaster III military airlift aircraft is the most flexible cargo aircraft to enter the US Air Force fleet. The C-17 is capable of strategic delivery of up to 170,900 pounds of personnel and/or equipment to main operating bases or forward operating locations. Noting that the aircraft is also capable short field landings with a full cargo load, it said the aircraft can perform tactical airlift and airdrop missions as well as transport litters and ambulatory patients during aeromedical evacuation when required. A fully integrated electronic cockpit and advanced cargo delivery system allow a crew of three: pilot, co-pilot, and loadmaster, to operate the aircraft on any type of mission, it said.